We are Your Choice for Brooks Family Dentistry! Brooks Family Dentistry is provided by our dental team and dentists, Dr. Struan Vaughan and Dr. Earl Pierson. 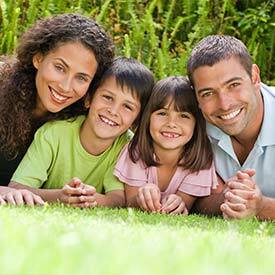 We work together to address the oral health needs of everyone in your family. Your oral health has been proven to be a major factor in your health wellness. At Parkview Dental, we firmly believe that every patient deserves personalized care with the goal to create a lifetime of beautiful, healthy smiles! Where Families are Always Welcome! Parkview Dental offers Brooks Family Dentistry to provide you and your entire family with the care and education they need for a lifetime of healthy smiles. Parkview Dental provides Brooks Family dentistry services such as routine cleanings, examinations, and fluoride treatments. Regular dental appointments can identify problems early before they become more serious. In addition to our comprehensive dental examination, we use digital x-rays of the teeth and surrounding bone to diagnose cavities and any underlying concerns that could be developing beyond the naked eye. Parkview Dental is pleased to be your partner in oral health. Call today to make an appointment for Brooks Family Dentistry!